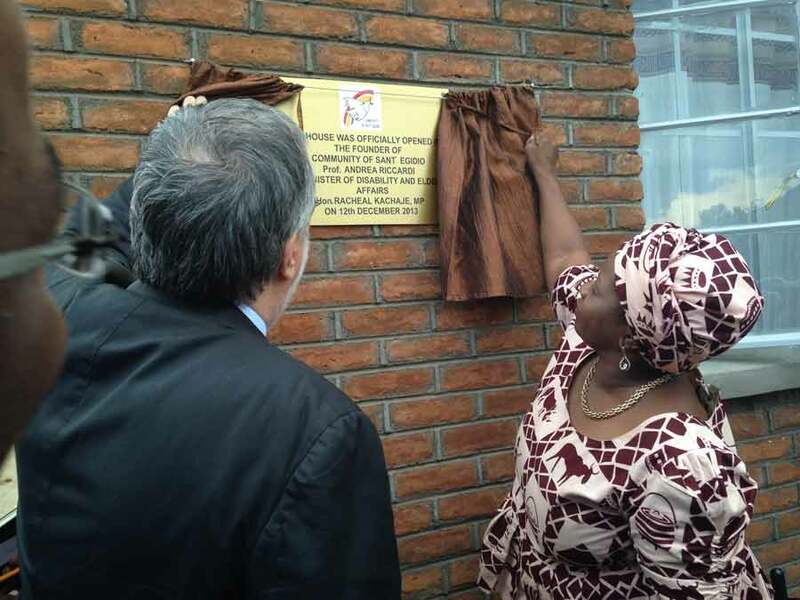 The home of Blantyre for now will host three single elderly women, offering them not only the certainty of a shelter but also the warmth of a new family, that of the Community of Malawi. The inauguration of the home was celebrated at the presence of the Minister for Disabilities and the Elderly who emphasized in his speech the importance of the service to the elderly that Sant’Egidio performs in that country. His presence signaled the commitment of the government to support the cultural wager that the Community intends to live in Malawi and in all of Africa. evolution of conditions in Africa. We need to build bridges between generations, we need to look at the future close up. This is the effort that the African communities of Sant’Egidio are living. The awareness is deepening that the elderly are a significant social and human problem that must be addressed. There is a clearer understanding of the need for a larger network of support and sensitization. That is why the nursing home of Blantyre is only the first, the first of a series of spaces that are open to hope and intergenerational solidarity. Already, other homes are being designed for Malawi, Mozambique, Benin, Burkina Faso, Cote d’Ivoire, and the Democratic Republic of Congo.